A combination of high quality whey protein plus complex carbohydrates in an easy to mix, delicious strawberry flavoured shake. Each serving provides an impressive 34g of pure protein and over 7g of the BCAA’s – the essential components needed to build muscle and maximise strength. The carbohydrates help drive the processes by which muscle tissue is made by the body and the olive oil provides further, slow release energy in the form of fatty acids. 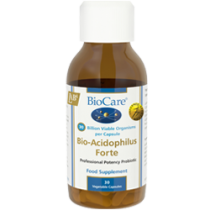 This is one of the highest quality weight gain products available and is manufactured in the UK by one of the world’s largest producers of sports products. 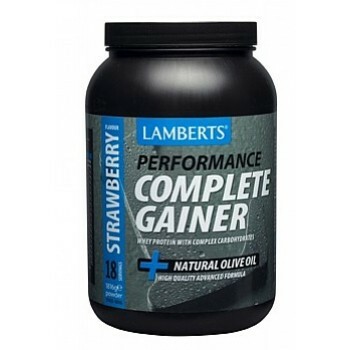 Lamberts® Complete Gainer can be used as either a snack meal or as an extra meal between main meals. Recommended alongside Multi-Guard® Sport. Maltodextrin Whey Protein Concentrate (from Milk) Olive Oil Flavouring Thickeners: Xanthan Gum & Sodium Carboxymethylcellulose Citric Acid Colour: Beetroot Red Antioxidant: Mixed Tocopherols Sweetener: Sucralose. Add 4 level scoops (100g) to 500ml of water or skimmed milk. For the best results use a blender. Take one serving per day between main meals. Two servings can be taken on training days if required.